It only took me 10 years, but I finally found my dream preschool schedule. Call it the preschooltopia of all schedules. I spent years adapting schedules that were good, but not great. BUT this was it! It was just as sweet as I had hoped it would be. 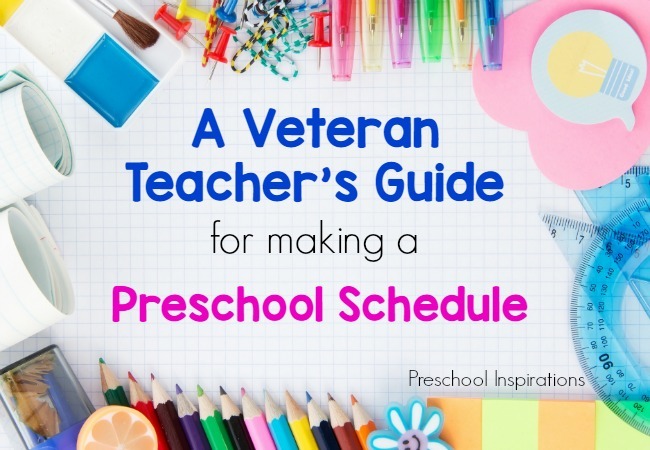 Come take a peek inside my veteran teacher’s guide for making a preschool schedule. The key to my perfect schedule is providing predictability and flexibility. Children learn the most when they are deep in play, so I have to protect that time! What if someone brought in something super special from home? No need to cringe…anymore. You have to welcome these special opportunities and make time for them. My classroom schedule completely opened up when I ditched keeping track of minutes in exchange for time blocks. Children need meaningful learning, not lots of activities. 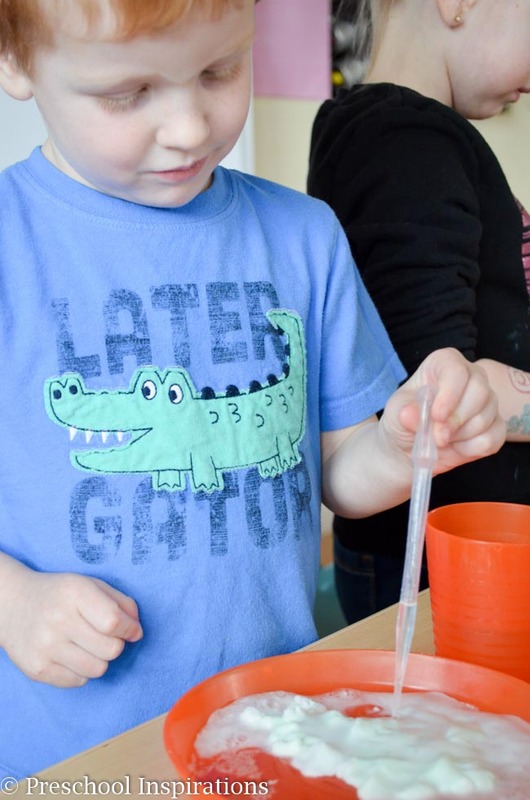 Why would you make a preschool schedule full of adult-directed moments when a child will learn much more when you bring meaning to what they are already engaged in? I’m sharing my actual preschool schedule directly out of my handbook from my in-home preschool. 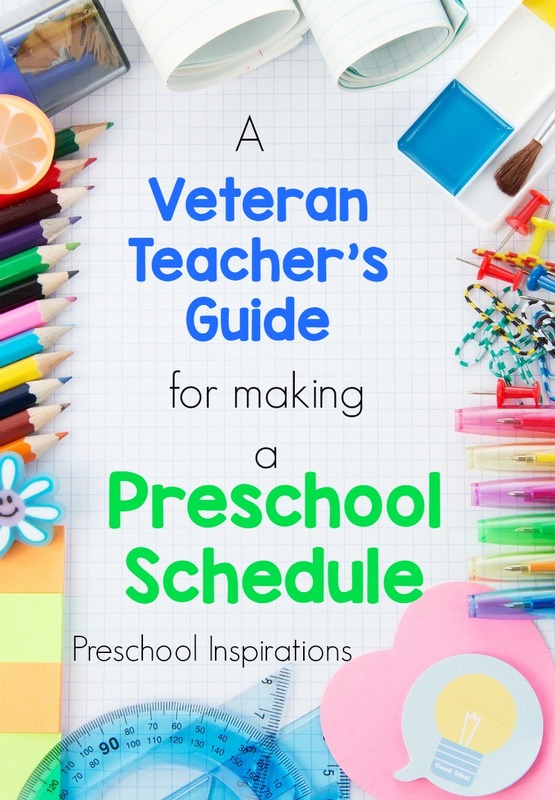 This is great for planning lesson plans and preschool curriculum. There are two parts to my schedule: the morning schedule and extended day. The bulk happens in the morning, so my students could attend just in the morning or the full day, whichever worked best for each family. I’m just going to share about the morning because the afternoon is more of a repeat of the morning with a nap time scheduled in. My schedule is more of a rhythm because it flows and allows lots of room for flexibility. I love the explanation of making a daily rhythm from Rhythms of Play. My schedule would have failed without my environment! You have to set yourself up for success by considering indirect guidance. Take a look at your room arrangement and observe how it helps or prohibits what you want to accomplish. 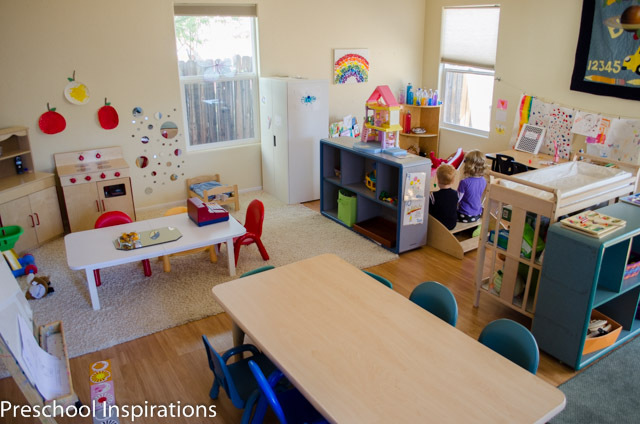 My in-home classroom beckoned children to explore and discover! If you have not seen my setup, I highly recommend it because it will just give you a better understanding as to how this all really worked. Just click the photo below to see my classroom up close. Your schedule will look different from mine for a variety of reasons (length of day, program philosphy, location, room size, and on and on), but your schedule and room arrangement have to be in sync! I believe in flexible beginnings. You never know what a child’s night looked like or if leaving the house that morning was complete chaos. I wanted preschool to be a haven — a place where they could feel welcome, take off their shoes, and be themselves. With four hours in the morning, we didn’t have to jump into preschool the second 8:00 am came around. I gave families the gift of time — an entire window to drop off their child. This has multiple advantages because it also gives children opportunities to share stories with friends about what they did the night before, to warm up to the day, and to explore through free play. Plus, I am not a morning person! So I get it when a mom drops off and looks completely frazzled …and loses her keys after the kiss goodbye. Breakfast and morning snack are an optional center instead of a family-style meal. This is a genius idea I adopted from an ECE professor. Some children come in ravenous and others could care less about food. I always made sure to give them a 15 and 5-minute heads up that morning breakfast/snack was about to be put away. The first three hours of the day are dedicated to the children. You can’t put learning in a box, so this looks different every day. Some days children just want to do process art. Maybe the day was gorgeous, and we wanted to stay outside longer. No problem! The writing center was popular all morning, so I didn’t dare interrupt that. Avery brought in her magical ant farm , so we spent time watching the ants communicate with one another and build trails. You have to make use of the little opportunities…and go with the flow! Sensory play is a must! Children need to touch, feel, explore, and experience the world around them. The days we skipped this, it came back to bite me! Circle time is my opportunity to bring us all together as one group. Children need time to talk to explore and to make choices, so in my schedule, circle time happens later in the day so that I am not competing with their interests. They are ready! I am not going to get into a lot of detail about this because I have an entire post dedicated to it. 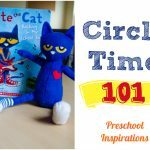 If you want to know more about my circle time, you can read my post, Circle Time 101. Don’t kill yourself trying to connect with every student, especially if you have a big class, but do make it a priority. You have to balance timing in order to do this. Find something in the block area for them that will make their face light up. Listen when they tell you about an episode of their favorite television show. Or simply rub a back during nap time. Small group times need to be a highlight. Make small group time an invitation in itself. It’s easier when we don’t have to convince children to join in. Put out a new activity at a table or in block area, or anywhere else. I do this in front of the children as they are in centers. This works really well because the children come over out of curiosity. Let them explore, ask questions, and also let them leave! Lunch time is the family-style meal together. The biggest regret I have is not asking parents to bring in lunches. Don’t try to be superwoman. It’s exhausting! Thank goodness for the helpers I trained all year to assist with the lunch process. Lunch is a community time. I think it’s a time to visit with one another and enjoy one other’s company. I know that not everyone will agree. 15 minutes is all I would ask for! After that, the children were welcome to leave. I try to make lunch a connection of warmth and community. Meal times also have tricky moments. Spills, sometimes chaos, and teaching manners too. 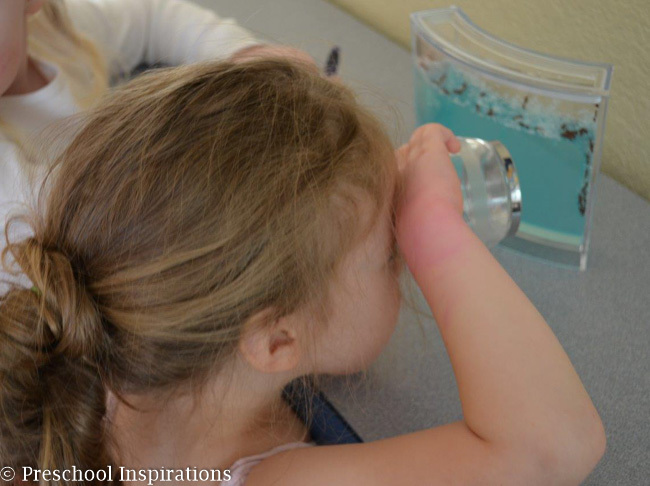 I love this post by Play to Learn Preschool about 4 Steps to a Smoother Snack Time. My key to creating my schedule happened through observation. This is what we all have to do. Observe. Change. Observe. Tweak. Each year is different, and it always will be. Tailor your schedule to your students, to their interests, and to your time frame. 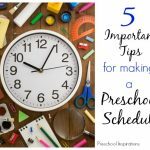 Overall, your preschool schedule has to work for you! I am so thrilled to hear this, Michelle! I hope your in-home preschool/childcare is a wonderful success. Thank you for the sweet comment :). It made my day! My pleasure! It’s so kind of you to take the time to say that :). Hi!! Thanks for this amazing post, it was extremely helpful. Can any of you recommend a great scheduled for the whole school year? (3-5 years old) Thanks! !